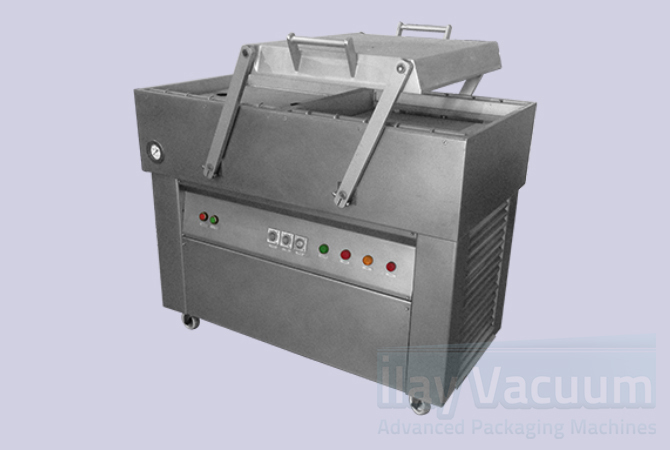 VACUUM PACKAGING MACHINE HORIZONTAL IL 52 – 2. SECOND HAND, USED. Sea products such as fish, meat and also brine vegetables and beans, red lentils and lentils kind of products, the agriculture and field crops in general, walnuts, hazelnuts, peanuts, macadamia, pecan, shell nuts, white flour wheat, various spices, all kinds of coffee, coffee beans, cashews, almonds, and a compact design for ready-to-eat and similar foods. It is also corrosion resistant. Customization requests are welcome. The length of the sealing bar can vary from 50 to 100 cm on the basis of customer wishes.